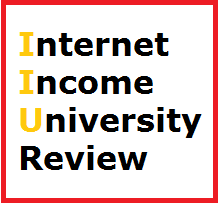 Internet Income University Review & What You Need to Know. There has been a lot of buzz around Internet Income University and I’d like to shed light by providing you with a review of it. I have been looking to see if there have been any changes to IIU and it looks like they are no longer in business. I’m not surprised but since you’re already here, you might as well know that I wasn’t going to recommend it even if it were still available for a bunch of reasons you’ll find in this review. I’m also going to explain what programs you can get information and training out of. But as for IIU, this place is (was) NOT a real university. Contrary to the name, it is not on the list of accredited universities within the U.S Department of Education nor is it accredited by the BBB (Even though I personally believe the BBB to be a scam). In a nutshell, what Internet Income University (IIU) really is, is an MLM (multilevel marketing) organization which gets you to join it’s program, gives you some decent as well as outdated training and then riddles you with tons of up-sells ranging from making your own website, to using IIU’s services & other third party services to get your site traffic. Even though there is no actual sale’s page on the website, what IIU has brilliantly done is give visitors, especially those who know nothing about internet marketing the illusion that they are a stepping into a real online university that will teach them everything about online marketing. 1. 7 hours of video training on marketing methods such as SEO, PPC, local marketing. The information is decent at best, but some of the suggested methods to get traffic to your site includes things such as backlinking, an old method that used to work, but can now get your website Google slapped. This in addition to other methods are things that are outdated and risky to use, but there is still quality training. You can actually get some good SEO advice on their blog posts, but that’s as far as I recommend you go. 2. A community forum where you can ask questions and even network with other members. IIU claims to have 4,000+ members in it’s program, but upon reading reviews from current/former members, most of the forum is dead and you’d be lucky to get anyone responding to your question/s. Not to mention that many have “dropped out” of this program. This however is based on reviewers claims. Up-sells are basically extra offers you are “encouraged” to get once you sign up. Many companies including this one lure you into joining for a low price, promising you big, and upon joining you discover that there is much more than meets the eye. This is no different with IIU. In their case, once you join the $30 membership, you are then “funneled” through a series of sale’s pages with up-sells. 1. Fast website set up. Basically it’s just hosting + website. For $20/month, you will get your own wordpress website & hosting from IIU. Truth be told, you can get the same things for much less in places like Godaddy, Namecheap & Hostgator. Prices for hosting are no more than $6 a month, while a domain name (website) will run you about $10 a year. Honestly, you can get this stuff for free. Here is a tutorial on how you can set up a website in as little as 1 minute. No need for these pricey alternatives. Internet Income University. If you join IIU, you can become an affiliate for it and promote the program to others. This is free of charge, IF you are already a member. Internet Income University Hosting. You first need to purchase hosting in order to promote it to others, but this is the second offer you can promote. Keyword tool $97. I have absolutely no idea why anyone would want to charge such an outrageous amount. Most keyword tools are free (though bad). I personally recommend using this one. It’s free to try and you can find tons of profitable keywords. A personal development plan. I have no clue what this is, but it costs $177 and you will need to buy it if you wish to promote it. Weight loss program. Costs $49 a month. I’d like to add all of these products are owned by the makers of IIU. This is another way for them to make extra money by having you promote these products to others. I can’t vouch for the credibility of the products, but this is very important to keep in mind. 3. Scalable Advertising: This is an SEO service (optional) which you can purchase to get your website traffic. Basically ” SEO experts” will work on your site for you. The cost of this? Anywhere from $97-$497 a month. People who are new to internet marketing will think “Well this will pay for itself once the website starts earning money”. Do not fall prey to this way of thinking. Most SEO companies & services are scams. Full report on why. You can make money with this program. 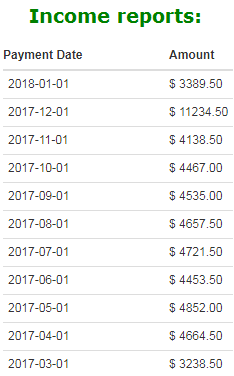 There are some (very few) members who are making money with this system. Some of the training methods are outdated and/or bad for your site. A large amount of up-sells you’re NOT told about until you become a member. If you buy all of the upsells, you’d be spending about $600 in total, and some are monthly charges. Affiliate products should be free to promote, not be forced to purchase in order for you to make money the way IIU does. You can get pretty much everything IIU offers, but for much less and even free elsewhere. Here is my #1 recommendation. Community is not very active. And those that are don’t really post things of substance. If you sign up to IIU, you will be receiving sale’s calls from other companies. Niche Profit Classroom, Niche Blitzkrieg, IMPho and Wealthy Affiliate (#1 pick) are all examples of better programs than IIU you can trust to give you the right kind of training you need to succeed online. While Wealthy Affiliate is at the top, if you’re looking for an updated list of options, here you go. As I mentioned earlier, IIU has created a system where they try to include everything needed to be successful online: A website, hosting, training, SEO services, products to promote. In most cases, this would be a good idea, if it weren’t for the fact that the price for all of this is outrageous and that you have to buy certain products in order to promote them (a common MLM tactic). Though they are optional, meaning you can promote other affiliate programs elsewhere and for free, to someone who is completely new to internet marketing, they will try to “play it safe” and promote IIU’s products. So who really ends up winning? IIU. Not to say this won’t work out for both parties, but in my experience, these types of companies usually don’t have a high success rate from their members. If you’re a current member of IIU and want to challenge me on this, by all means, post a comment below. I’m open to discussion. My final option on Internet Income University: I was debating on where to put this organization, the Best places to learn or the Avoid these places sections. After thinking about it and the fact that you can get everything they offer elsewhere for much less as well as some of their training being out and the fact that I don’t like sneaky up-sells, I decided to advise against them. My bottom line is that there are few, but MUCH better alternatives to Internet Income University. My personal recommendation is this place. It’s free to join and you get way better support, training and tools. Very detailed site. Clear review and good use of imagery! Great article! This is a concise and very detailed review. Really useful information. Thanks for flagging this up!